letterpress printing. Rising Museum Board 4-ply white. 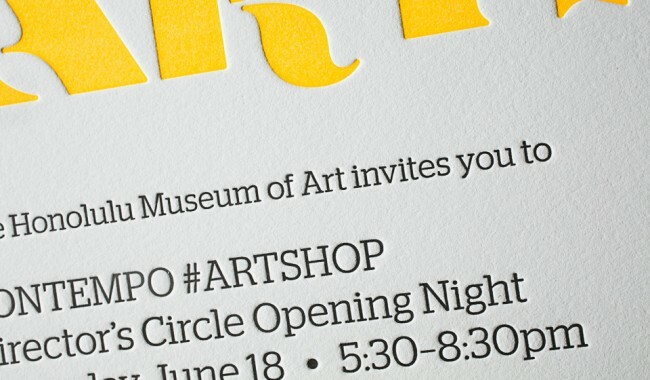 printed on our Heidelberg Windmill 10 x 15.
letterpress event invitations (9.25 x 5.75). 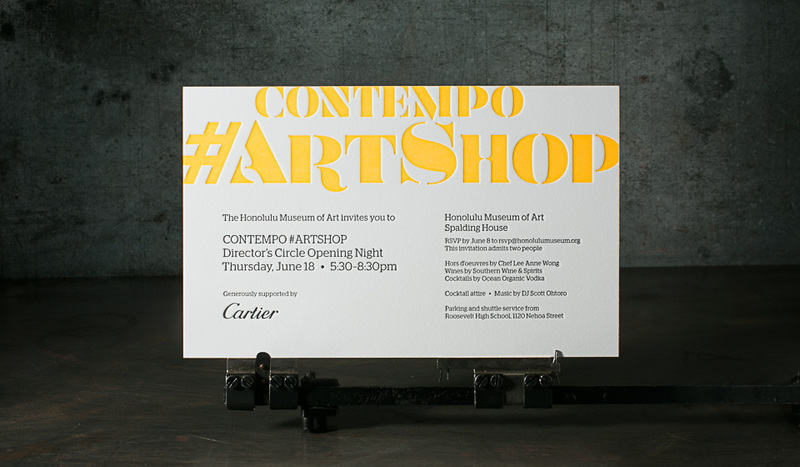 Contempo #ArtShop is the Honolulu Museum of Art’s annual spring benefit. Proceeds from #ArtShop support museum programming, such as art classes, exhibitions, and educational outreach. 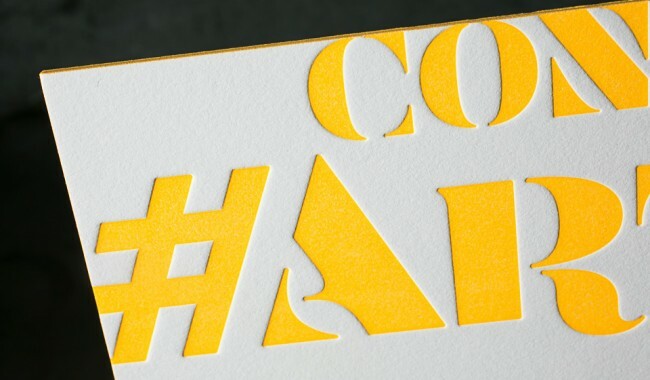 The designer chose to letterpress print the heavy invitation with a fluorescent PMS color to give the signal this won’t be your grandma’s gallery sale. Rather, an exciting, innovative nine days of free art programs where visitors can see new work by local and international up-and-comers, mid-career trailblazers, and established masters.